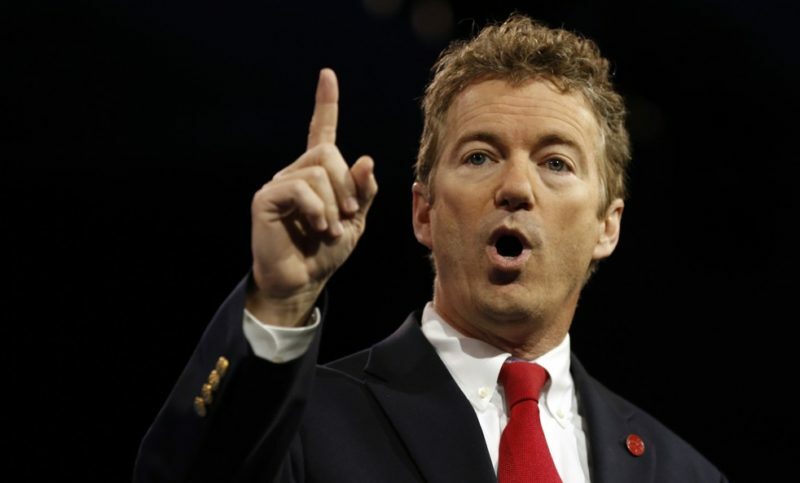 Senator Rand Paul was out for a little bit as the result of an attack which left him with 5 broken ribs, but now he’s coming up swinging, demanding that we launch an investigation into the Obama administration officials who may have colluded “to prevent the election” of Donald Trump. These FBI and Department of Justice officials who may have tried to collude against Donald Trump deserve their own moment to shine, except the spotlight will be in a court of law. Paul even says that this could be “worse than Watergate” if it turns out to be true. And let’s be honest, out of all of our Senators and all of our Congressmen, Rand Paul is probably the least likely to call for erroneous investigations at the expense of tax-payer dollars. He posted this tweet on Thursday, demanding an investigation into the potentially inappropriate conduct of Obama administrations officials who may have abused the power of their positions to influence the Presidential election. He also pointed out on Fox News that Peter Strzok was removed from his position within the FBI after it was discovered that he had traded anti-Trump texts with a mistress of his, who also worked in the organization. In these texts he called Trump an “idiot” and worse, while discussing a “backup plan” in extremely vague detail. Paul also noted that Strzok was a key player in the Hillary Clinton email investigation, implying that Clinton may have been given preferential treatment because certain people investigating the matter knew that Trump would win if she was charged with anything relating to the improper use of an unsecured server to receive and send classified information. Given that this is the Obama administration that we’re talking about, I don’t see this as being outside the realm of possibility. I mean, the man let Hezbollah run free, trafficking drugs and laundering money so that his deal with Iran wouldn’t implode. There is nothing he wouldn’t do to get his way. We can’t allow the Obama administration to get away with all of this. There is no excuse for this kind of criminal behavior and your position in the government should not allow you to get away with breaking the law, any law.